The theft of the century was pulled off in Montbeliard, France last September - a crime so masterfully coordinated that we're only just now hearing about it. As French newspaper L'est Republica reported (translated by Daily Mail), a 19-year-old French man named Adel successfully purchased a brand-new PS4 for £7.86 (around $9) at a supermarket in Montbeliard by ringing it up as fruit. It's exactly what it sounds like. Adel took a PS4 from the store's electronics department, weighed it on a scale in the fruit section, and printed a new price tag for it, which he then scanned in at a self-checkout station. It's hardly a new scam, but I have to admit, I've never heard of anyone trying it with a PS4 and fruit. Anyway, don't do this - with anything. I absolutely had to know what fruit Adel used as the proxy in this little scheme, so I did some napkin math. I'm assuming he snagged a PS4 slim since the original model is rarely seen on shelves nowadays. 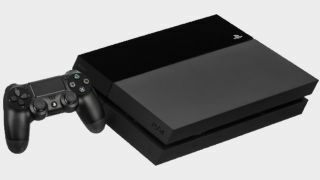 A PS4 slim weighs 2.1kg. If we take that weight, add in the approximate weight of the box and peripherals, and compare it to the latest French produce prices listed on GlobalPrice, we can estimate that Adel rang up his PS4 as either tomatoes or apples. Mystery solved. Probably. Whatever fruit it was, apparently a PS4 is worth £7.86 of it by weight. A 1TB PS4 is about £300 on Amazon UK, so that's a pretty significant - and very illegal - discount. Yet somehow, Adel got away with this. Not only that, he then sold his ill-gotten PS4 for £87.43 (around $115) in order to pay for a ticket to Nice, France. Oh, but it gets better: Adel returned to the same supermarket the very next day and tried the exact same scam again. Wouldn't you know it, he was caught and arrested this time. After failing to appear for his court hearing, Adel was recently sentenced to four months in prison. I wonder if the train ticket was worth it? This is one of the stupidest scams I've seen since this staggeringly obvious Kickstarter ripoff.